People regularly knock on the door of the church and ask for help with groceries. The administrator and I always talk with them to find out what they need and how we might be able to help. Often, these folks know all about the local meal programs and food banks. What they really need, they tell us, is fresh milk and produce. They want to feed their families with healthy food, but on a low or non-existent income it is next to impossible. And they get awfully tired of canned food. 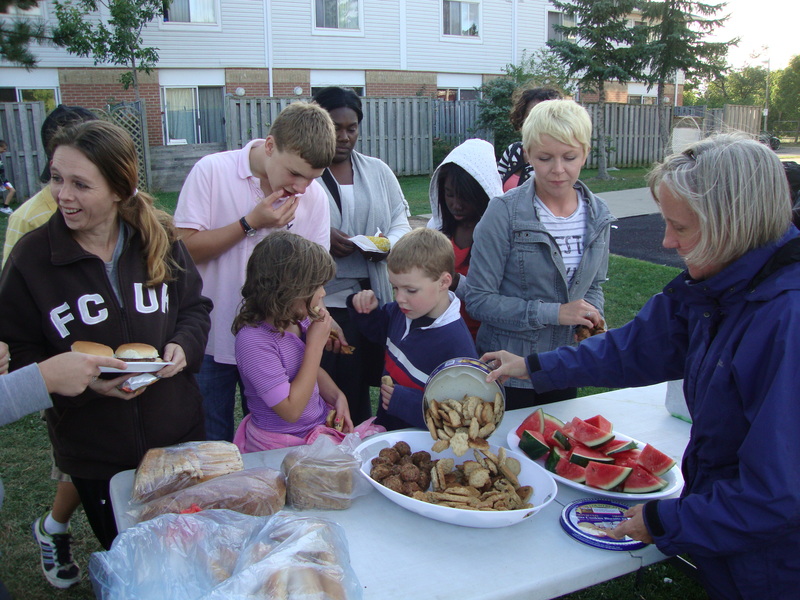 Last year, our congregation started to host a weekly meal in a nearby low-income housing complex. It is the second of three such programs that were founded by Ron Shantz, a community chaplain here in North Oakville. Our site is Donaghey Square and each Wednesday we show up in their courtyard with BBQs, hamburgers and all the trimmings, watermelon, corn on the cob, cookies and halal hot dogs. Each week, a Food for Life distribution table is also set up. This provides fresh bread, bagels, buns and other dry food products to be given to families to take home with them. We always have a great turnout and enjoy each other’s company as our children play and we all have supper together. Last summer as I harvested tomatoes and zucchinis from my backyard, I longed to share them with these neighbours. What a perfect complement to the bread table–fresh vegetables! The problem was, I never really had enough. It didn’t feel right showing up with just one zucchini or two tomatoes. This year, with my huge new vegetable garden, one of my goals was to produce enough vegetables that the Donaghey Square community could enjoy some. And today, I harvested my very first crop for them! 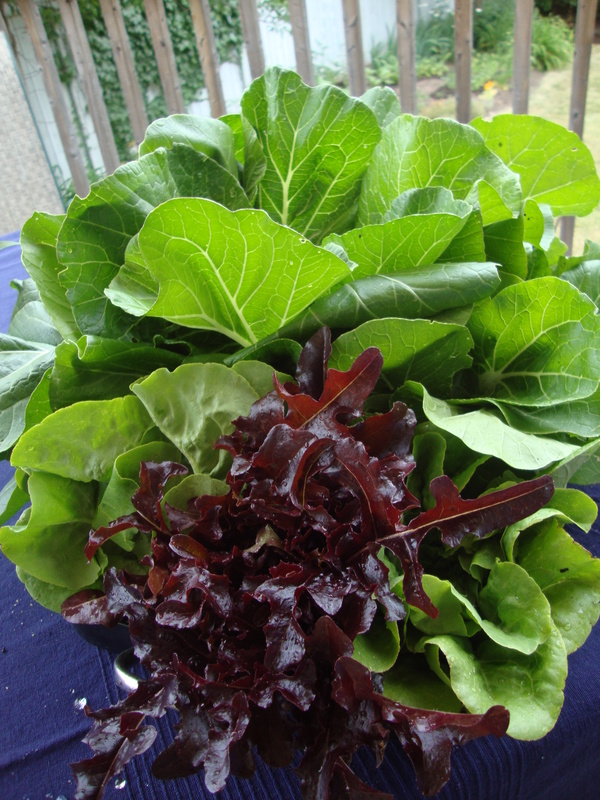 There is bok choy, along with red and green leaf lettuce. I picked eight or nine heads this morning and am carefully keeping them cool and damp until they can be taken to supper tonight. In the garden, I can already see the tiny zucchinis and a few tomatoes that I hope will be ready before long. And, as long as the lettuce doesn’t bolt (go to flower) in the hot weather there will be more lettuce next week, too. Mine is only a small-scale effort. I know that I am not solving world hunger, or even feeding an entire neighbourhood. Still, I know that the small gifts I offer will help a few people enjoy a little bit of fresh food–something that is both pleasant and healthy. To be honest, though, this is also pretty great for me–I am excited that my work in the garden is yielding a solid crop and I am glad that I have the opportunity to share. The blessings in this project are not just for other people but for me, too. 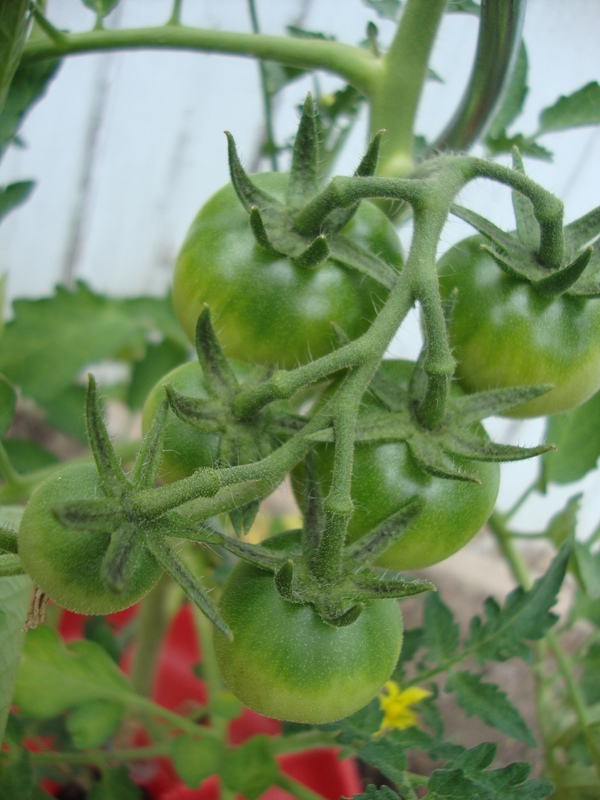 This entry was posted in Uncategorized and tagged food, garden, neighbourhood, Oakville, vegetable. Bookmark the permalink.